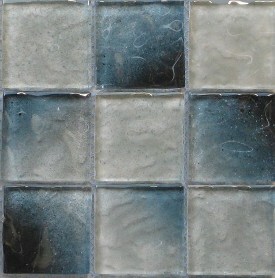 These provide an amazing unique look with their random pattern in a larger format glass tile. Please note: Computer monitors vary in how they show color. Photographic lighting can also affect the look of tile.